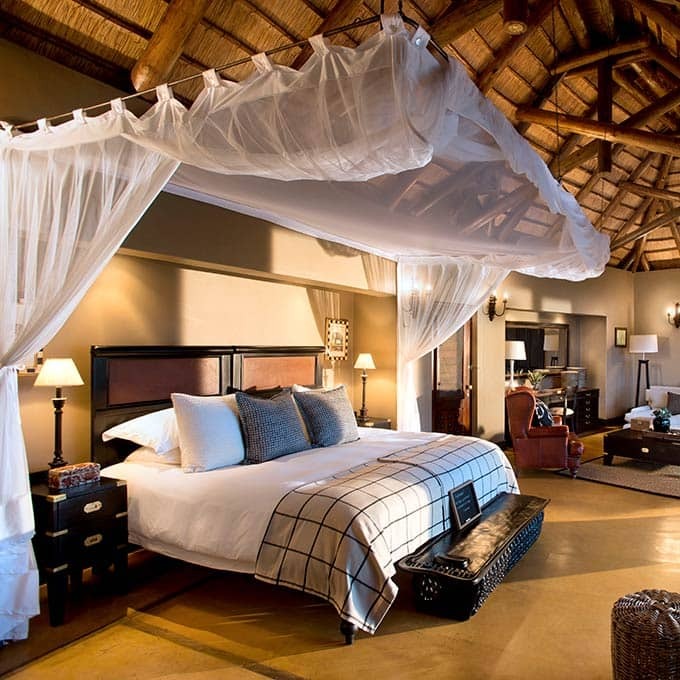 Lion Sands boasts a collection of wonderful lodges in the Sabi Sands. The award winning Lion Sands is the only private reserve to have access to the perennial Sabie River, which it shares with Kruger National Park. You will find four beautiful lodges here, so there's always one that suites your taste! A home away from home in the African bush. 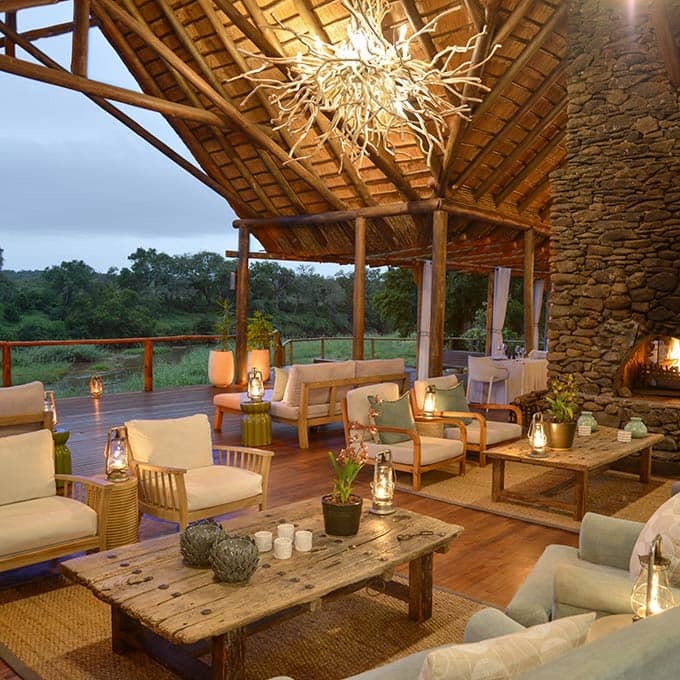 This lodge is all about nature, warmth and luxury. Lion Sands River Lodge is situated on the banks of the Sabie River, allowing unparalleled game viewing. Tranquil rooms are connected to the main lodge by wooden walkways. A modern style -6 suite only- exquisite lodge on the Sabie River. Indulge yourself in the huge villas, all equipped with lounge area, private swimming pool and open plan bathroom. 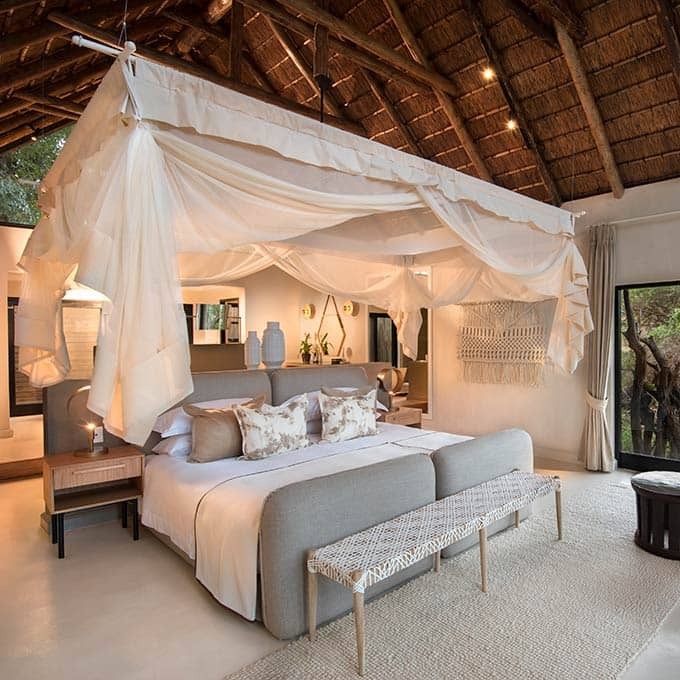 This must be one of the best lodges in the Sabi Sands Reserve. With only nine private suites, the lodge style is grand and spacious with a feeling of historical opulence. The main areas are double volume opening out onto breath-taking wooden viewing decks which end a few feet from the Sabie River. 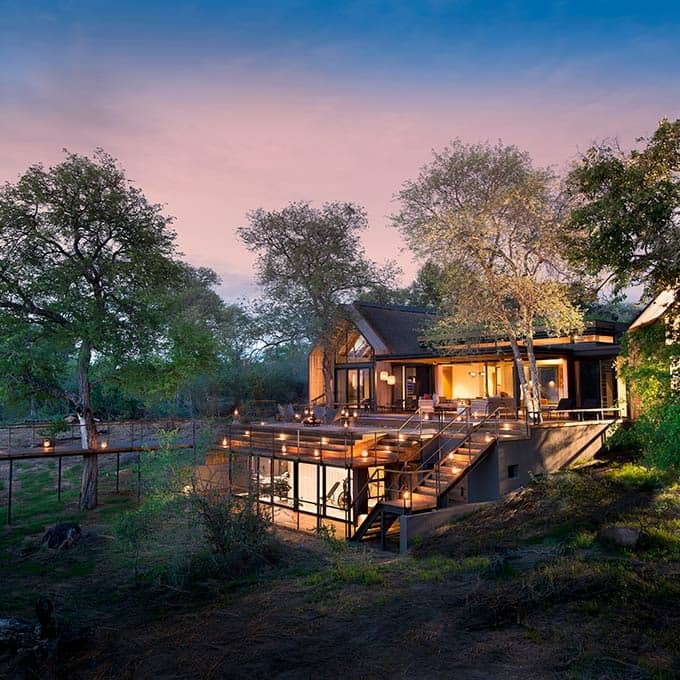 Perched amongst a canopy of 100 year old trees overlooking the Sabie River the style is that of a luxurious treehouse where the main areas link via raised wooden walkways to the nine private suites. If you are looking for a Lodge which has a closer connection to its landscape yet offers private luxury as defined then Narina has achieved this perfect blend of style and experience. Soak up the sounds of the bush and sleep under a canopy of a million stars whilst staying overnight in one of the Lion Sands treehouses. 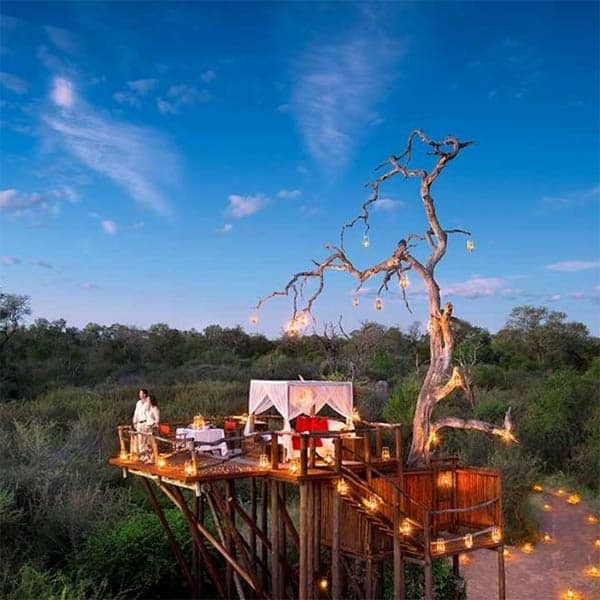 A night in a treehouse can be booked as an add on when staying at one of the Lion Sands lodges. Whether you choose for the Chalkley treehouse, Kingston treehouse or Tinyeleti treehouse: you can be sure to have an unforgattable experience. We hope you have found all information needed to decide that Lion Sands Game Reserve in the Sabi Sands Game Reserve is the perfect place for your next travel adventure. Please fill in the contact form and we will get back to you soon!